Since the release of universal search and Google’s release of Google Goggles and Google Voice Search, images have become a strategic part of Search Engine Result Pages (SERPs). 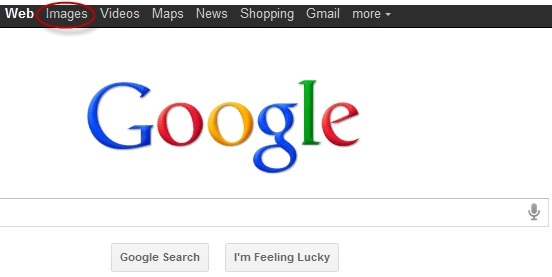 Google indexes billions of images and sees hundreds of millions of image-related queries each day. 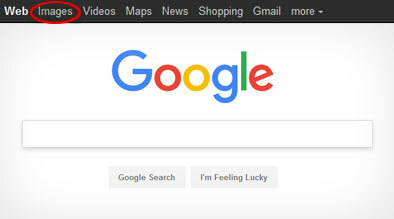 Image search is projected to become even more widespread with the new release of Google Voice (where you can search for images by speaking your query) and Google Image Search, which not only lets you search for images, but lets you search using images. Here are five helpful tips to make sure you are ahead of the game in image search. Create accounts on available photo sharing sites and upload photos of your hotel. A few channels we recommend are Flickr, Panaromio, and Oyster. Creating profiles on these channels also benefits your Google Places listings as Google pulls from these sites to populate photos of your hotel. Use geo-targeting and relevant keywords when naming and tagging images. Example: San Francisco California Hilton Hotel Room. Stay Consistent when naming images. When uploading a photo on multiple sites, make sure to us the same image name for all sites. Optimize your Alt-tags to describe the image and include relevant keywords and geo-location terms. 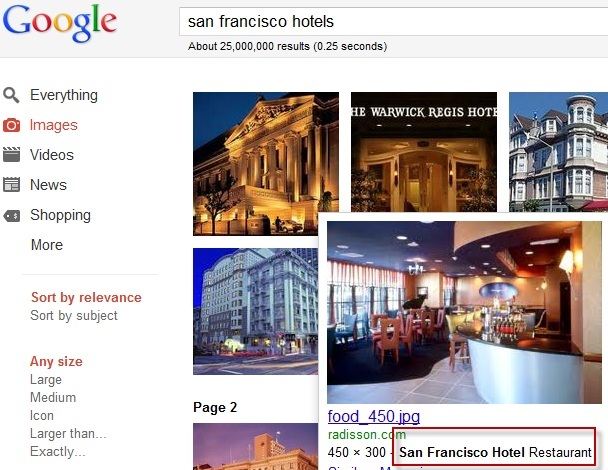 Submit an image sitemap file to the search engines to help them discover images of your hotel on your website. We have seen typically 12 to 15% of traffic coming from image search. As universal search expands, it will become more and more important to saturate as much of the web as possible. This includes images, videos, maps, blogs, and much more. It is crucial to leverage image search by optimizing your site, uploading images on photo-sharing sites and geo-tagging your images. Thank you Meagan for that great article, I know our company will get so much more exposure using your 5 ideas. I would love to talk to you further about your ideas and how you are doing. Great Job!